Arizona is visited by tourists from all over the world looking to see the vibrant, dramatic landscapes for themselves. More than just a place of natural beauty, Arizona is also home to a wealth of excellent colleges and universities that now offer video game schools worth looking into. 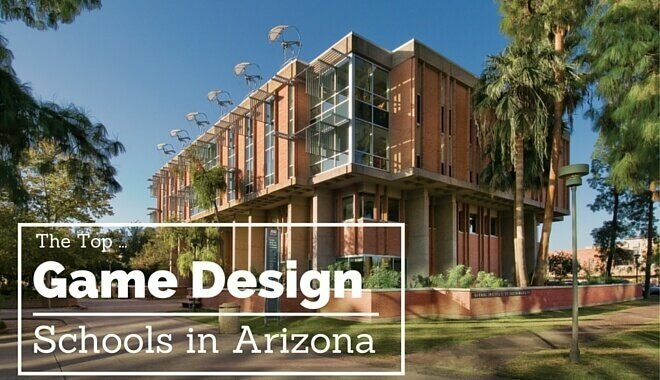 What are Arizona’s Best Game Design Schools? Collins College in Phoenix, Arizona offers you several associate and bachelor’s degrees that prepare students for some of today’s most exciting careers. This includes a Bachelor of Science in Game Production with two things every game program should have: variety and a capstone game project. The Game Production degree focuses on several aspects of development, including gameplay, working in a team, 2D and 3D assets, and more. Notable courses you’ll take include Game Theory and Mechanics, Storyboarding and Storytelling, Level Design, and Game Production. To graduate you will also be required to not only build a game portfolio but also work on game projects with teams to fill it out. You’d be hard-pressed to find anything bad to say about this excellent game design program. It not only covers almost every aspect of game design but also makes sure you graduate with an impressive portfolio to show off during your job search. The annual total list price cost of attending Collins College was $22,832 for the 2014/2015 academic year, regardless of Arizona residence status as there is no in-state discount. If you find food and housing outside of the school then you can expect a total cost of $14,880. University of Advancing Technology is a private university that feels like a combination of a traditional academy and a modern technology campus. 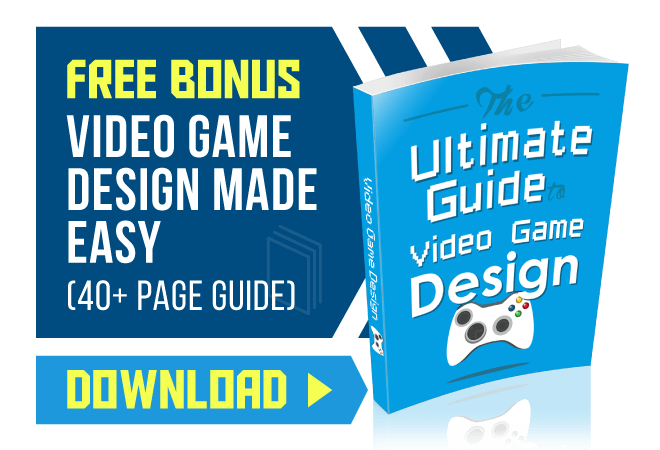 Here you will have the option of selecting one of four different game design programs. With the Game Design major you’ll learn the design principles, skills and techniques needed to craft mechanics, design documents, and functioning prototypes for games. The Game Art and Animation program offers more emphasis on the art and animation side of game creation, including 3D animation, character rigging, and more. The B.S. in Game Programming will help you master the programming techniques and principles needed to create games. This includes learning C++ programming as well as scripting, DirectX/Opengl development, data handling, game engine architecture, artificial intelligence, and more. The Serious Games And Simulation program offers an analytical approach to solving game design problems while also covering business models and specific types of games. The strength of this school is of course the variety you’ll find among the different programs. 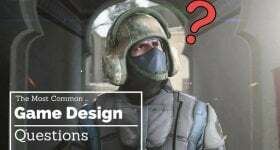 While not every school offers a 4-year degree in game design, even less have four programs that cover different sides of game creation. Undergraduate students paid #23,150 for the 2015-2016 academic year (2 semesters). Room and board is an extra $9,700. ASU’s Herberger Institute for Design and the Arts has established the Digital Culture Initiative that looks at interactive gaming systems as more than just a way to entertain ourselves. From better smartphones and virtual bridges connecting cultures to looking at games as a tool for physical rehabilitation. these programs covers how games are becoming more important in our day-to-day lives. Unique courses you can look forward to while in the B.A. or Minor are Physical Intelligence in Digital Culture, Story Development for Game Design, Programming for Media Arts, and Programming for Social and Interactive Media. The Bachelor of Arts in Digital Culture in particular offers nine different concentrations. The B.A. degree is perfect if you want a program that looks at games in a way few other educational programs do. The option to go with the Minor is also welcoming if you’d rather major in a different 4-year degree. Arizona State University students can expect to pay $9,811 per semester, or $23,312 a year. The largest of the ten colleges in Maricopa County district, MCC helps students receive the knowledge and skills needed to find a desirable job in today’s difficult economy. The Multimedia & Game Technology program offers several degrees and certificate programs, including one in Game Technology. The Game Technology program is designed to teach you everything there is to know about the development and management of dynamic environments for games and other interactive media. Areas of study include graphics, animation, video production, audio, and more. A Certificate of Completion in Game Technology is also available. The strength of the Multimedia & Game Technology program is that it will prepare you for a career in not just games but also educational institutions, studios, organization’s, advertising, and any entertainment field that require visual and interactive content. The downside is that only 2-year degrees and certificates are offered and not a solid 4-year program. Serving more than 13,000 students and offering a wide variety of certificate and degrees, MCC has become one of the most popular schools in the state. If you want to use computers to make games for a living, the Programming and Game Development Certificate is for you. Most of the courses required in this certificate program also apply to the Associate of Applied Science In Computer Systems Administration degree. This certificate program is ideal if your educational goal is to learn how to become a video game programmer, with the downside being that there isn’t a 2-year or 4-year degree offered that puts more focus on video game design. The fact that no art-focused game design programs are available can also be seen as a negative. Tuition for in-state students is around $90 per credit. The Programming and Game Development Certificate requires 18-19 credit hours to complete, which means you’ll end up paying approximately $1,710. Northern Arizona University is a public university boasting a dedicated and distinguished faculty along with a strong variety of degrees to choose from. The Department of Electrical Engineering and Computer Science offers aspiring game designers a Bachelor of Science in Applied Computer Science. The core of this B.A. program is building a foundation on programming languages, virtual collaborative environments, software engineering, and user interfaces. The training and skills received will transform you into an expert in computer game engines while also opening the door to other career opportunities, including software consulting, graphics and game development, defense software analysis, Bioinformatics and data management, and more. Topics you’ll also explore during this program include: neural networks, evolutionary programming, artificial intelligence, fuzzy logic, data mining (through the Center for Data Insight), parallel algorithms, distributed systems, and modeling reactive systems. This is a very strong degree if you have an interest in the technical side of game creation, which means becoming an expert in various software programs and programming languages. This of course may be a turn-off if you were hoping for a degree that emphasizes the artistic and narrative side of game design. Tuition costs for the 2015 academic year were $9,990 per semester and $22,510 per year. Almost 100 years old, Phoenix College belongs to a district that has consistently ranked as one of America’s biggest community college systems. More than 150 certificate and degree programs are available to the 30,000 students that attend each year. An Associate in Applied Science in Computer Graphic Design is perfect for students looking to create captivating characters and worlds for games. The purpose of this program is to turn you into a specialist in computer graphic design. This includes developing your graphic design and layout skills while using a computer, all while reinforcing valuable art principles. Some of the career opportunities graduates of this program can apply for include video graphics, product designer, paste-up, illustrator, layout, freelance, animator, photo-retoucher, art director, and advertising designer. There are a little over a dozen required courses in this program, all of which serve to touch different areas of game art creation. Notable courses include Two-Dimensional Design, Electronic Publishing Design, Computer-Photographic Imaging, Graphic Design, Computer Aided Graphic Arts, Computer Illustration, and Digital prepress. This is a fantastic degree if you’re looking for a taste in computer graphic design and the various tools and techniques needed to be good at it. One big drawback to this program is that it is not designed for four-year transfers, which means you don’t have the option of continuing your studies via a more solid program. A lack of a programming-focused degree at this school can also be seen as a drawback. Maricopa County residents attending Phoenix College pay $84 per credit hour while out-of-county residents have a cost of $366 per credit hour. Since the A.A.S. in Computer Graphic Design program is between 60-63 credits, you’re looking at around $23,058 if you’re out of state and $5,291 if you live in the area. Pima Community College is a two-year college that since 1966 has offered high-quality yet affordable education to the greater Tucson area, which includes six locations spread across Pima County. Many certificates and associate’s degrees are available in various fields, including a Associate of Applied Science in Digital Game and Simulation. The Digital Game and Simulation program will prepare you for a career as a playtester, game designer, or programmer as well as artist, modeler, and character building. This is because a wide variety of courses are required in order to complete this two-year program, and two core concentrations are available that introduce courses outside of Game Design and Game Programming. With the Digital Programming concentration you’ll take courses like Intro to C#, Game Programming, C++ and Object-Oriented Programming, and Java Programming. The Digital Animation and Production concentration leans more toward the art side of game creation with classes like Life Drawing, Desktop Graphics: Adobe Illustrator, Computer 3D Animation: Maya, and Interactive Design. You’ll also get hands-on experience with Adobe Photoshop and Adobe After Effects. The fact that this A.A.S. degree lets you choose two completely different but equally valuable concentrations makes it one of the best in the entire state. Of course, the fact that it is only a 2-year program can be seen as a major disadvantage. The good news is that while the degree isn’t designed to transfer to a 4-year university, courses taken can be applied to the Bachelor of Applied Science. It’s a great option if you choose the Digital Programming concentration and want to continue your studies. In-state residents will pay $75 per credit hour while non-resident tuition pay $352 per credit hour. Since the A.A.S. in Digital Game and Simulation program required about 64-66 credits, state residents will pay $4,950 while non-residents will have a cost of $23,232. Arizona isn’t at the top of the list in when it comes to the number of schools that support game design programs. However, the colleges that do offer such degrees tend to put tremendous effort into making it a valuable and captivating program. That is why you can’t go wrong with any of the above programs if you see yourself making games for a living. Career opportunities, however, are as dry as the state’s many deserts. Less than a dozen game companies exist in Arizona, and none of them are names you might recognize. Of course, the good news is that Arizona is next to one of the most abundant and ever-growing states when it comes to game jobs: California.